يوفر فندق Nomads Airlie Beach Hotel ظروف إقامة راقية وهو خيار رائج للسياح ولرجال الأعمال أيضاً. يقع في منطقة شواطئ, الحياة الليلية, سياحة من المدينة. يمكن من هنا للضيوف الاستمتاع بسهولة الوصول إلى كل ما تقدمه هذه المدينة النابضة بالحياة. يضفي محيط الفندق اللطيف وقربه من أكثر المعالم السياحية جذبًا سحرًا خاصًا على هذا الفندق. ببساطة كل الخدمات وأساليب الضيافة التي تشتهر بها Base Backpackers تجعلك تشعر وكأنك في بيتك. يمكن للنزلاء الاستمتاع بالميزات التالية: تسجيل وصول/خروج سريع, تخزين الأمتعة, واي فاي في المناطق العامة, صف السيارات, التوصيل من وإلى المطار أثناء إقامتهم في هذا المكان الرائع. تعكس غرف الفندق البالغ عددها 44 المنتشرة في 2 طوابق جواً من الدفء والألفة.خدمات عصرية مثل غرف لغير المدخنين, مكيف هواء, مكتب, ميني بار, مروحة موجودة في بعض الغرف المختارة. يقدم الفندق مجموعة واسعة من وسائل الراحة المتنوعة، كمثل: حمام سباحة خارجي, بلياردو, حديقة, رياضات مائية (غير آلية), غرفة ألعاب. مهما كانت دواعي سفرك فإن Nomads Airlie Beach Hotel هو خيار ممتاز لإقامتك في المدينة. We moved out of here after the first day to Whitsunday Terraces Resort - much better value for money for an ocean view and kitchen facilities. The rooms come with a double bed, air con didn’t work, tv didn’t work, line to check in and check out was really long. It has a kitchen facility but only a sink? No cupboards, drawers, microwave or other facilities - very weird room. 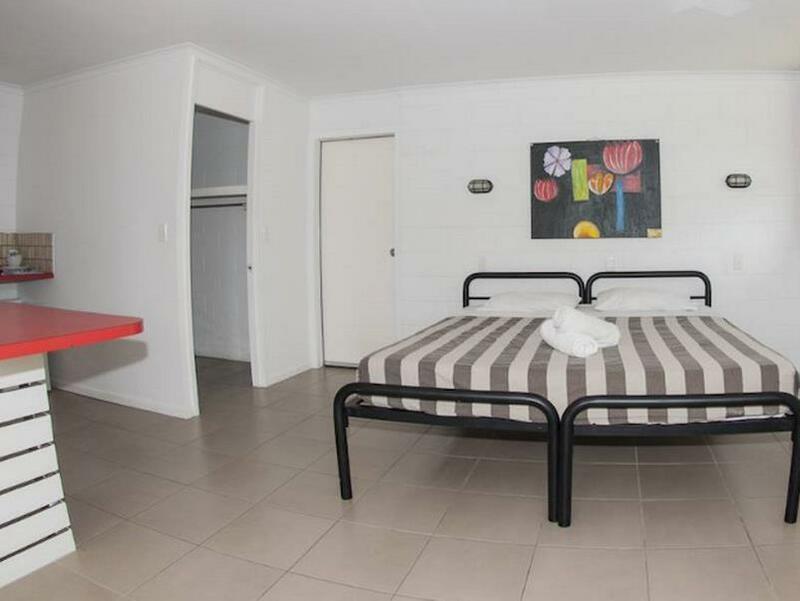 Do not recommend, if you’re a backpacker and want a private room stay - you’ll spoilt for choice in really decent non-hostel places. If you’re a couple or older, I would definitely not recommend. Great stay, have stayed previously in a dorm room here and expected the usual tiny private room.. I was pleasantly surprised, the room was massive! Air con worked well, staff were great. Massive walk in closet and kitchen area. Our room was very quiet and set back so were not disturbed. Facilities on site were great too. 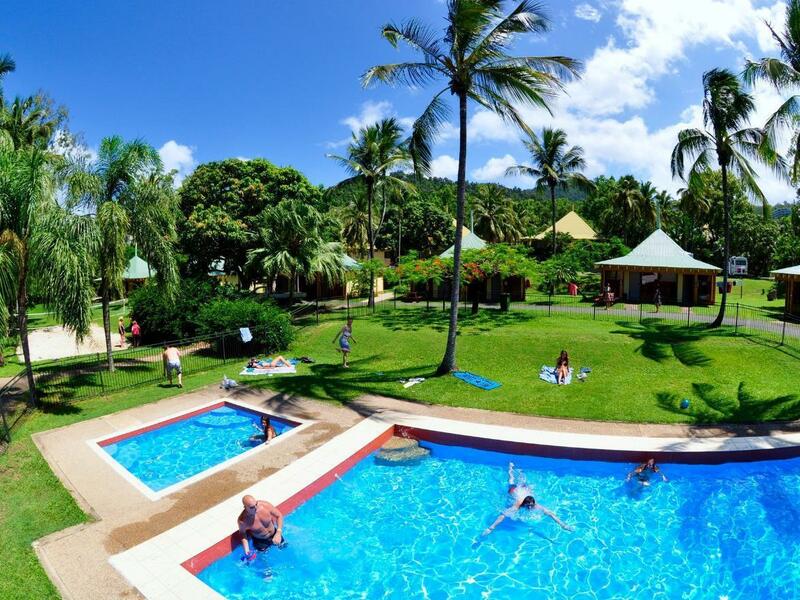 Perfect location in Airlie Beach. Couldnt ask for anything more! 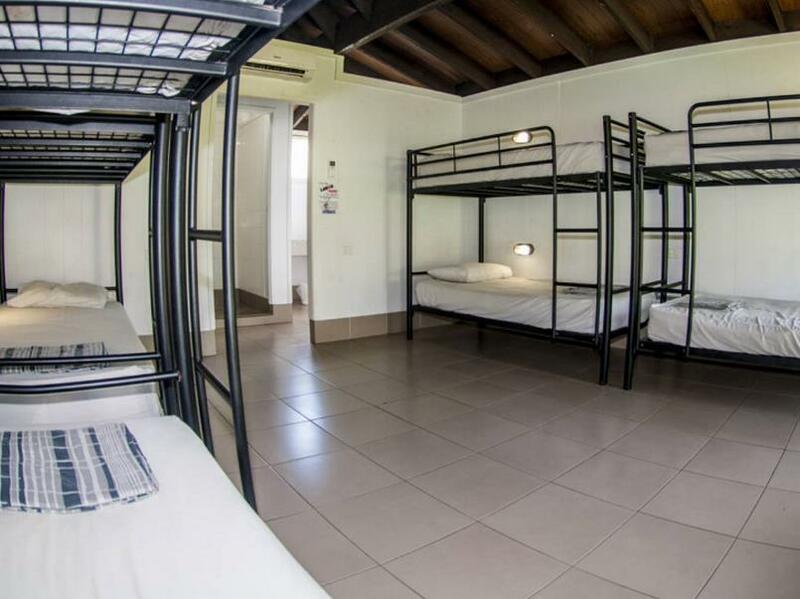 The Nomads is definitely specialized in accommodating backpackers in dorms. I had booked a double bed room for a significant amount of money and had roaches on the floor and a rather outlived bathroom. If you want privacy and you are NOT on a budget book yourself an airbnb. The staff is very helpful and friendly. It'great to stay with Nomads (X-base) and it's very very comfortable to take a bus (tour & airport bus). dirty, spider webs above bed.. in Australia that's making you sleep in horror..., loud bar til 4 am.. no sleep, electricity was turned off by them.., only hours after asking it was on again.. they said oh yes he switched it off to test something and didn't turn it back on... but it gets worse, "he" another of those rude staff or the same or the manager was very rude when the wifi didn't work and we needed to ask.. on too only the female staff has to wear extremely sexistic t-shirt print with slogan being: "Wanna hop in bed with me? Ask me how!" Disgusting, misogynistic, sexist management!!! The kitchen was always messy and dirty and the bathrooms didn't look very tidy either, so that could definitely be better! The rooms were nice with air conditioner and good space for everybody. Perfect location! I'm really disappointed that I stayed there for 3 days, the music always loud and they don't care about their guests belongings. It's a matter of few minutes to at least secure my items from the public space, but they don't even do that. They're too busy to do their job and help their guests! Great location close to the bars, restaurants and main attractions. The dorm where I was staying in was very clean and spacious. Unfortunately everything else was pretty bad. The kitchen was utterly disgusting and the facilities were poor. There wasn't enough cutlery, pottery and cleaning stuff provided. The kitchen also closed already at 9pm. What really annoyed me was that there was no dining/common area inside as it was quite chilly in the morning and evening. There are just a few picnic benches outside where you can eat. The reception closed already at 9pm, while they're supposed to be open until 10pm. Wouldn't stay here again, but it's ok if you just need a bed for the night. Room was fine. Good facilities and things to do. Would recommend. It is very central and near all the amazing places that airline beach has, also the personal is so happy and always with a smile to help you. Stayed 3 nights in 8bed-dorm. No control of guests sleeping in my room. Two drunkyards brought a third one - not checked in - with them at 0.30am. Stuff was obviously recruted mainly from travellers - poor Service & no greetings. Check-in after 2pm. Lugage-room unlocked and uncontrolled. Noisy musik all night until 2-4am. One monring noisy musik starting at 6am. Nobody cares and nobody feels responsible. I can not recommend staying in Nomadis Airlie Beach. Much better Airlie YHA!